This is the only festival in Hampton Roads that exclusively features local 757 Craft Breweries as they battle it out to win in different beer categories – with 100% of the proceeds go to local Hampton Roads charities! This award-winning and unique event pits breweries against each other to earn your vote and determine who has the best beer in the 757! Craft beer, food trucks, live music, and more! YOUR TICKETS ARE STILL VALID! Please Print Or Bring Your E-Tickets And Do Not Forget Your Ids. 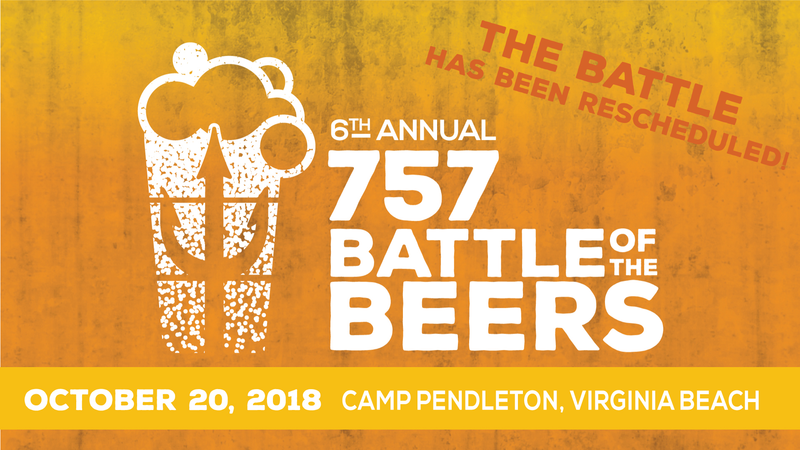 Visit www.757BattleoftheBeers.com for the latest event information! The one-of-a-kind event features live music from co-headliners, food trucks (1 meal is included with each ticket! ), tastings of every beer (two beers from each brewery! 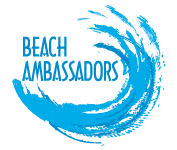 ), corn hole, giant beer pong, and much much more! This event is in its 6th year – and the battle will be bigger and better than ever before! 7. Brick & Mortar Brewing Co. (Suffolk) **NEW! 9. Cape Charles Brewing Co. (Cape Charles) **NEW! 19. Precarious Beer Project (Williamsburg) **NEW! 27. Caiseal Beer & Spirits Co. (Hampton) **NEW! 30. New Realm Brewing Co. (VA Beach) **NEW! The BATTLE OF THE BREWERS is back! For the 2nd year, we, along with our friends at Backyard Sports Club, will feature 2-person teams from each Brewery competing in a 3-round contest utilizing strength, agility, aim, brains, balance, logic, concentration, determination, and luck! The winning Brewery gets a chunk of the event profits for their chosen charity! Last year Deadline Brewing Project won the inaugural event before they actually opened their doors. *Important~Google Direction May Be Wrong! Coming From Oceana/Strawbridge Area And Heading Towards Oceanfront On General Booth; Turn Right At The Light, Onto South Birdneck From General Booth Blvd. Coming From Ocean Front On General Booth; Turn Left At The Light Onto South Birdneck From General Booth Blvd. Once on Birdneck South, A Short Distance Down, You Will See & Turn Into Camp Pendleton Entrance Gates On The Left. Once In Camp Pendleton, Drive Until Road Tees. Turn Right At T Onto Jefferson Ave. Turn Left Onto Lake Road Or Into Parking Lot Just Before Lake Road.